Crazy for local chocolate products, curry crab and dumplings, doubles or international food? 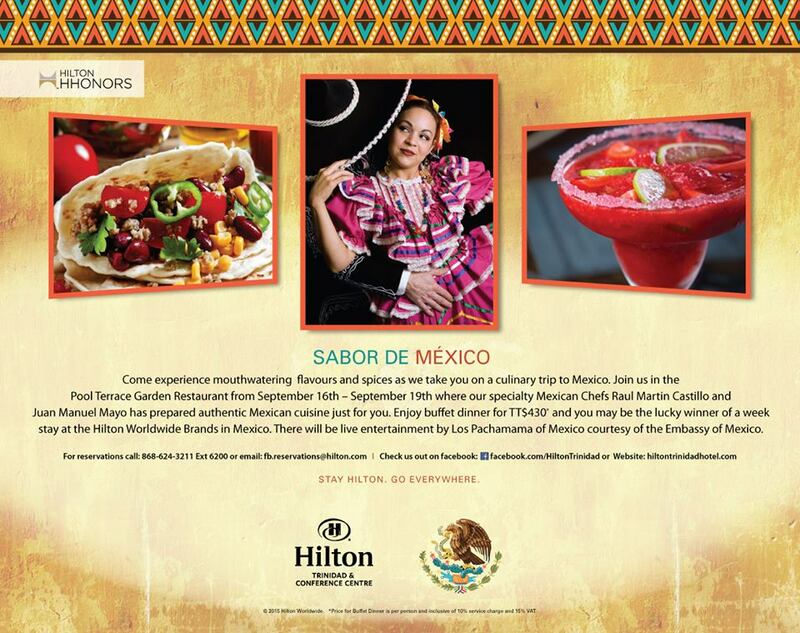 Check out our list of Trinidad and Tobago’s top annual culinary events. The festivals and events listed below are held annually (current/past dates are included when possible and $ = Admission Fee). Two ongoing events are worth noting – Trinidad’s monthly UPMARKET event at the Woodbrook Youth Facility or Trinidad Country Club, which brings together local food artisans and other vendors, and SANTA CRUZ GREEN MARKET, a weekly market featuring fresh local produce (organic options too), fresh flowers and plants, prepared foods, seasonal events, food lectures and much more. 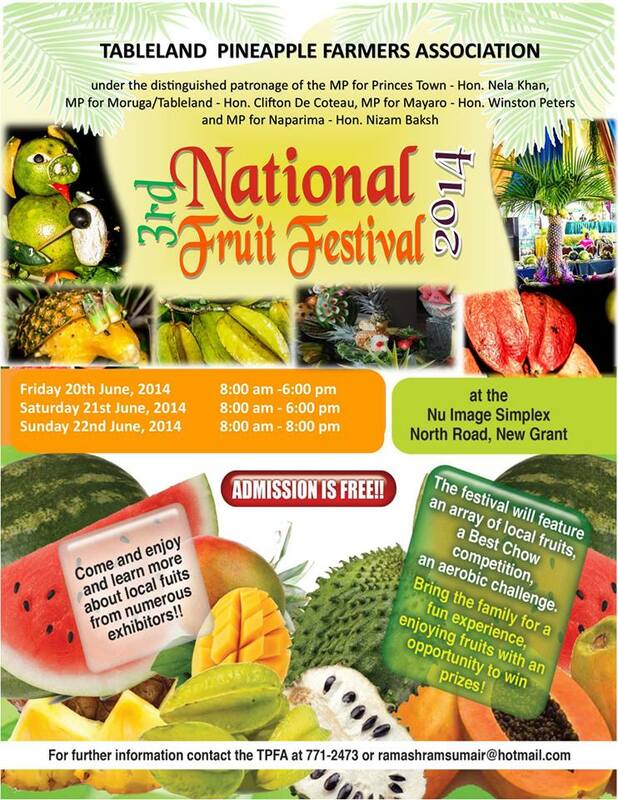 NATIONAL FRUIT FESTIVAL (TRINIDAD) at Nu Image Simplex (North Road, New Grant) – The festival will feature an array of local fruits, a Best Chow competition, an aerobic competition, and more. Free Admission. Restaurants participate Restaurant Week offering discounted lunch and dinner prix fixe menus. List of 2016 participating restaurants and menus (link). UWI’s Cocoa Research Centre hosts its annual celebration for World Cocoa & Chocolate Day “featuring the best of the chocolate-based cuisines and confectioneries; and a competition fostering innovations in incorporating cocoa/chocolate into food: Innovations in Chocolate Cuisine: A Food and Beverage Challenge. The 2016 festival is September 30th and October 1st at UWI’s JFK Auditorium. Link to more details (2016 Facebook event page) and our past event pictures. Fatima’s Old Boy Association hosts an annual food festival with an interactive judging by patrons to determine best Fatima Alumni Cook and Best Invitational School Team; Flair Bartending – enjoy your favorite Cocktail made with exciting showmanship; and a Celebrity Chef Challenge. The 2015 Food Festival will be from 7pm to 11pm (dinner served from 7:30pm to 9pm) and tickets are priced at $350 drinks inclusive. Link to more details (2015 Facebook event page). Hosted by the Consular Corps of Trinidad and Tobago and under the Distinguished Patronage of the Honourable Prime Minister, this delectable event will feature dishes, drinks and culture from the 35 countries and members of the Consular Corps. The Consular Corps of Trinidad & Tobago hosts this annual event to raise funds to assist local charities. For more information or to purchase tickets please call 627-0209. Link to more details (2015 Facebook event page). World Food Day (TOBAGO) – Tobago’s annual World Food Day exhibition is a sight to behold with villages island-wide displaying prized produce alongside dishes made from local staple foods like dasheen and cassava. Live stock, poultry and fish products are also on display. Prepared food, fruits, vegetables and plants are available for purchase and live entertainers perform on both evenings of the two-day exhibition. Oktoberfest at the Hilton Trinidad (TRINIDAD). Enjoy an authentic Bavarian buffet, live entertainment nightly and more. CARIB BREWERY’S OKTOBERFEST (TRINIDAD) at Adam Smith Square on Ariapita Avenue. ”Oktoberfest Village • Draft Beer • German Foods • Live Music!” FREE ADMISSION. NOTE: All events and their dates and/or locations are subject to be changed and/or be cancelled. LIKE US on FACEBOOK to keep up with news on Trinidad & Tobago’s culinary festivals. Your September event have no contact info or dates?